If you have been looking for a green screen in Washington DC, you may be wondering why the screen is green in the first place. 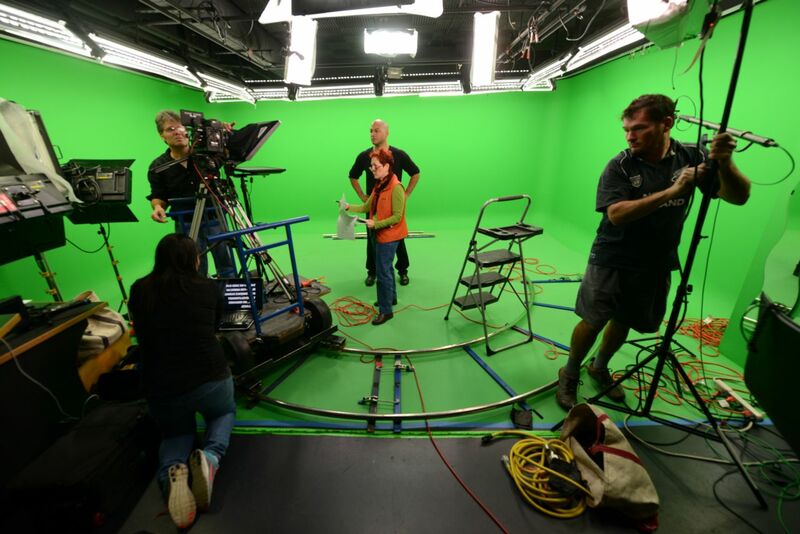 The process of filming you in front of a green screen to create an artificial background is called "chroma keying." In the chroma keying process, green color is captured by the camera and canceled out by a chroma key device, thus making space for a virtual background. Green is one of the furthest colors from skin tone. This prevents your skin from being canceled out in the final video. Modern digital cameras are highly sensitive to green, which allows for a cleaner image. Green is an uncommon clothing color, which prevents clothes from being canceled out by the chroma key device. If your skin were the same color as the green screen, your skin would disappear in the video and the background would show in its place! This is why newscasters and weathermen need to be careful in their wardrobe selection. At times, you may notice parts of their outfit disappear, especially since news channels often use a blue background instead of green.